Let’s drill and train the drone! Drones are subject to restrictions on places and conditions, such as air law, but anyone can feel free to pilot after purchasing. Especially the drones such as phantom from DJI Inc. can operate more easily than I thought. Training is indispensable to manipulate the drones freely, such as “aerial photographing” and “inspection”, in some cases “drone race”. However, there is no purpose, just skipping the drones will slow down the progress of maneuvering skills. And, I think that most people who are manipulating Drone by wandering are not taught to anyone. Trainings are indispensable for handling drones safely, so this time we will introduce some of the drone ‘s training skill improvement skills. Let’s practice repeatedly until you can operate any operation! Take off the drones 3 m away from the pilot, lift it 3 m and let it land on the spot. ➡ ︎ It is the basic takeoff and landing training. 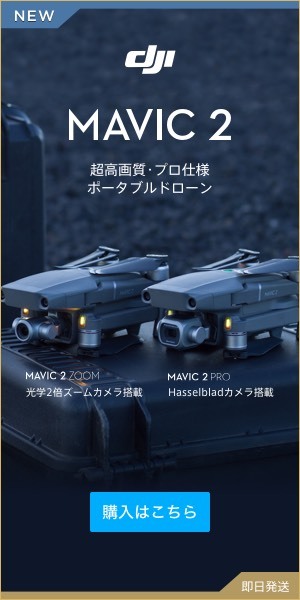 You can easily operate if you use a relatively high drones such as phantom 4. Hovering can be continued for a fixed time at the height of the operator’s eyes. ➡ ︎ If this is also phantom, you can easily hover. Technique will enter for hobby drones to maintain hovering, so let’s train with hobby drones. Let’s be able to hover without losing it to the ground for about 10 minutes when the battery runs out. Each landing point shall be set at a distance of 20 m from the specified takeoff point in the left and right direction and land at the exact place. Perform this operation stably for 5 consecutive times. ➡ ︎ It is a very important training to grasp accurate drone operation and pilot’s sense of distance. so let’s grasp the distance maneuver and the sense of distance to the drone and the target point here! Each landing point shall be set at a distance of 20 m in the forward and backward direction from the specified takeoff point and land at the exact place. ➡ ︎ It is before and after version of training 3. When landing the drones behind you dare not look at the drones, try maneuvering only with the tablet screen and it will be a training outside the eyes so it might be a good idea to challenge. However, please train with conditions that there are no people around even though it is close range. It becomes possible to move designated points in order while maintaining a certain height. ➡ ︎ I think that this is interesting if you set up your own course by installing color cones and obstacles in the usual practice area. In my case I practice with natural objects such as trees as a course. Move the rectangle with the orientation of the loan facing forward. Since this is not a combination of sticks, I think that it is relatively easy to operate if it is phantom4. The movement is the same as before, but the orientation of the drone is different. Let’s always steer in the direction of traveling! It is also good pilot training to visit the previous training visually. However, let’s do it after setting up a safety supervisor etc. Also, the drone pilot may also touch the drone, so let’s train away from the drone surely! Circles are easier to move than square movement. Let’s move the drone into a circle while keeping the drones facing forward. The trick is to switch forward and backward sticks. You need to switch between left and right sticks when drone moves 180 degrees to face. Let’s train until your body learns so that you can draw nice and beautiful circles! Let’s move the drone so that it always faces the front in the direction of movement of the circle, with the drones facing to the left or right 90 degrees after taking off. Training 11: Make the drones fly with the drawn facing the center of the circle. Let’s move the drone in a circular shape this time with the drone facing the center of the circle. I improve considerably as I can do so far. Lastly, it is movement of eight characters. If you can stick to the orientation of the drone and be able to steer here if possible, it is quite a skill. Phantom etc. Even though it is easy to operate simply, I believe that difficulty has improved significantly by only sticking to the direction of the aircraft and moving. Drone has multiple co-props multiple propellers and can freely move in three-dimensional space, so if you stick to the orientation etc., stick to difficulty level much more. Also, depending on the person, special skills such as delivering non-visual flight or night flight / thing may be necessary for business etc. A very deep drone maneuver. Please let me know if you have recommended training method ~!